NOAA Fisheries requests comments on Amendment 43 to the Fishery Management Plan for the Snapper-Grouper Fishery of the South Atlantic Region (Amendment 43). The proposed actions would specify recreational and commercial annual catch limits for red snapper beginning in 2018. Members of the South Atlantic Fishery Management Council voted today to approve a request to NOAA Fisheries that would allow fishermen access to red snapper in federal waters in the South Atlantic beginning in mid-to late October this year. If approved by NOAA Fisheries, it will be the first time since 2014 that the red snapper fishery has been open in federal waters off the coasts of the Carolinas, Georgia, and the east coast of Florida. The Council is requesting that NOAA Fisheries allow an interim annual catch limit (recreational and commercial) of 42,510 fish for 2017 via an emergency rule. The annual catch limit would allow for a recreational mini-season likely beginning the end of October, with approximately 6 to 12 days of fishing over a period of 3-day weekends. The recreational bag limit would be 1 fish per person/day with no minimum size limit. Commercial harvest would be allowed with a 75-pound trip limit. The recreational sector is allocated 71.93% of the total catch limit. If the Council’s request is approved, the number of days and specific dates of the recreational mini-season will be determined by NOAA Fisheries. A decision is expected in the coming weeks and will be announced by NOAA Fisheries. Volusia County recently acquired two large steel vessels that will be reefed in the coming months. The 150' M/V Lady Philomena, photos attached and video link below. 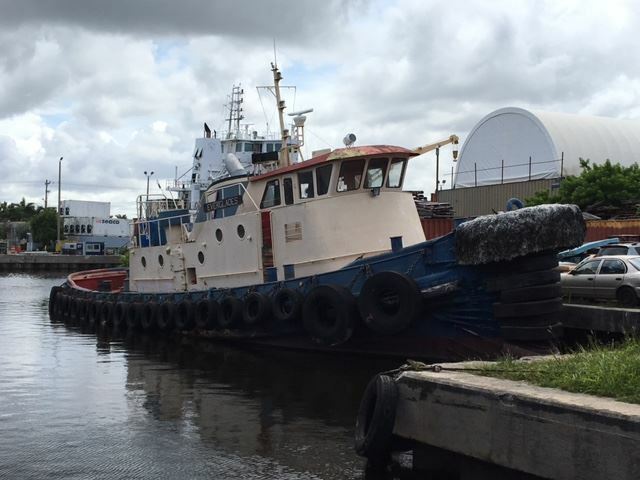 And the 90' Tug Everglades, photos attached and video link below. 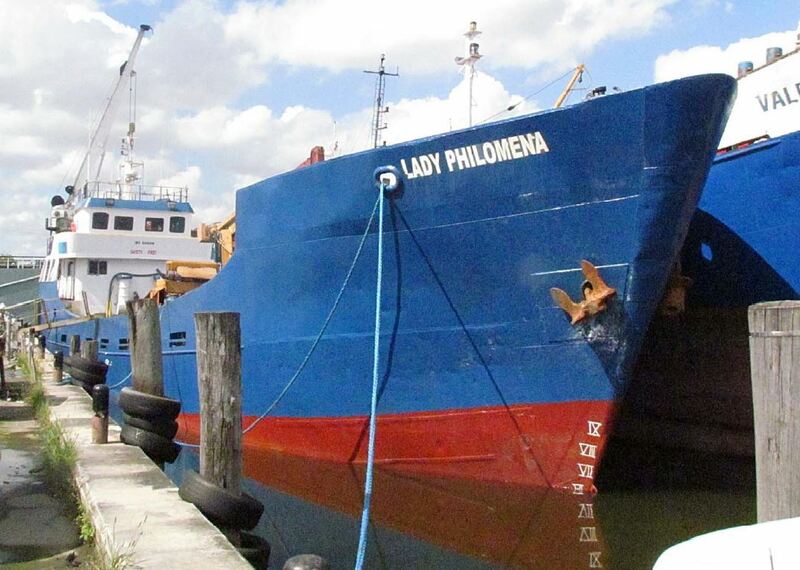 The M/V Lady Philomena was donated to the county for reefing by the U.S. Customs and Border Protection service after having been seized with contraband in the Miami River. The Tug Everglades was offered to the county for reefing by the shipyard where the M/V Lady Philomena was moored. Both vessels are currently being cleaned for ocean disposal and will be sunk together at artificial reef Site 12-SW adjacent to an existing large concrete culvert and structure reef. This reef deployment will create a dynamic fishing and diving site that will provide habitat for a wide range of fish and invertebrate species. Also, mooring balls will be placed on the Flagler and Sunglow nearshore artificial reef areas around the same time as the ship deployment. Thank you for your support of the Volusia County Marine Wildlife and Artificial Fishing Reef Program and have a great weekend. March 14, 2017 – Alexandria, Va. – Due to an effort by Senator Richard Shelby (R-Ala.), the National Oceanic and Atmospheric Administration (NOAA) will provide a competitive grant toward innovative Gulf of Mexico reef fish survey assessments and technologies. The American Sportfishing Association (ASA) today praised this new program, which it believes will result in a more accurate estimate of the Gulf red snapper and lead to improved fishing access. This $9.5 million grant program was authored by Senator Shelby and directed by the Congress in the 2016 Appropriations Act. Thank you everyone for a great shoreline stabilization day on Saturday! We had 62 people present, including 8 boats, to stabilize severely eroded shoreline at Canaveral National Seashore’s Oyster Bay site that is culturally and historically important to all of us. In addition to being a prehistoric shell midden of unique importance, it was also the location of a 16th century shipwreck of French explorers. We completed 200 meters of stabilization on Saturday – a new record for us for a site only accessible by boat! Funding for this effort came from the National Park Service, CCA, the Fish and Wildlife Foundation, and the National Science Foundation, with in-kind support from the Marine Discovery Center, the Indian River Lagoon National Estuary Program, and, of course, everyone with boats. Thank you all! Science-based stabilization is essential to protecting our lagoon into the future! Finally – we thank CCA and Frank Gidus for providing lunch for everyone and Greg Harrison, also CCA, for the amazing brownies! We have ongoing Oyster Bay stabilization work days planned for: February 25, March 25, and April 22. Please join us if you can – we especially hope to make April 22 our next BIG volunteer event day (it is also Earth Day)!